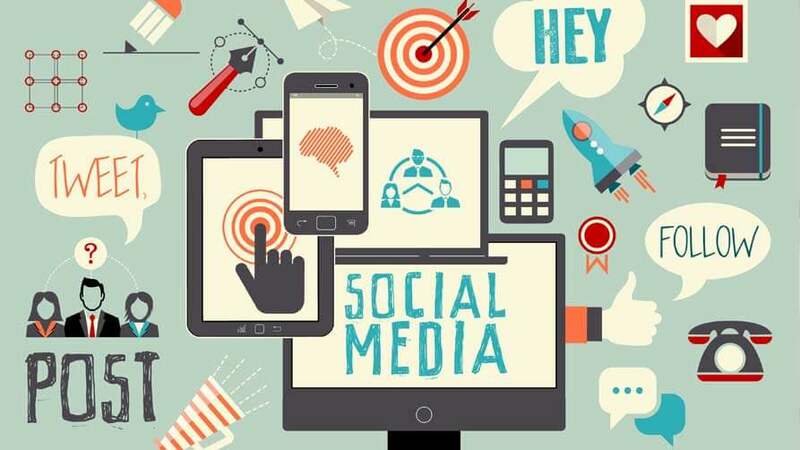 According to recent statistics, in 2019 there will be estimated 2.77 billion social media users around the globe. Moreover, further survey conveys that presently 77% of marketers are using social media advertising as a stable means of advertisement. So, long gone are the days where social media was just a means to communicate with the outside world. Today, customers and visitors are using popular sites like Facebook, YouTube, Instagram, Twitter Pinterest, etc. to find out about a product or service. Rather, people trust social media more, and they should. Social media provides direct communication with marketers and clients so that helps customers talk to their peers for understanding a product or service. In fact, today we bring you the various reasons why social media advertising is the one-stop solution for business in the 21st century. When it comes to traditional marketing, your company holds the responsibility for advertisement solely. You can write authentic content and get it featured on Google’s SERP. Provide potential customers with newsletters, and email notifications or hand out flyers etc. However, in the case of social media advertising, the option of publicizing your brand becomes transparent. You have your followers who are already following you to know more about your brand and business. You can communicate with them, via social media platforms and encourage them to share your posts, leave reviews and like your content. Moreover, social media offers you the option of word of mouth marketing. Your client’s or customers can recommend your company to their peers and this will help you garner more leads. After all, as per a few surveys conducted nearly 80% consumers trust online reviews and word of mouth marketing. In the case of normal marketing campaigns, the leads assured are mere possibilities. Your target audience may or may not take part in your marketing campaign. Certain time, due to competition, your target audience may even overlook your marketing scheme. However, that isn’t the problem when it comes to marketing via social media. Social media allows your audience to follow you, and in that way, you already have certified leads. Henceforth, those leads that follow you over Facebook or say, are subscribed in YouTube will be aware of whatever new you bring to the table. Thus, they’ll react to your posts, share them, and spread the message which will help garner the notice of your target audiences. Social media advertising is popular because it’s cost-effective, but why is that? The reason is social media platforms are a treasure trove of information on different people. You can find a person’s geographical location, gender, interest, age, and friend group that helps you determine the personalities of target audiences. Hence, you can pay for user targeted ads, and save up money. For example in platforms like Twitter or Facebook, you can pay to pick the ads to be showcased to the most applicable demographic. Additionally, you’re paying just for the selected demographics so, not only are you saving money but also you are bound to get your money’s worth. In case of traditional marketing campaigns, your business just out there in digital media hoping it garners adequate leads. There can be flaws and loopholes in your marketing scheme but you got no one to point that out. So, yes, you may have invested a lot of money into your marketing game, but eventually, you are left wondering why you got 0 ROI. However, when it comes to social media advertising you are out there amidst your followers with your flaws exposed. While this may seem daunting, it also helps you understand what your customers need and want. Say you offered a product and a write up on that, encouraging more reviews and shares. A few of your visitors wrote something negative on the product, you can instantly contact them and find out the shortcomings of the product. In that way, you can analyze the needs and wants of your users and implement the changes in your product or service to make it more consumer-friendly. One of the best ways marketers can utilize social media is finding out where they stand in the face of their competition. Their advertising schemes can be studied, whether they are using influencer marketing or generating interactive polls, doing giveaways and how to become better than them. So, now do you understand why more and more businesses are relying on social media advertising as the ultimate marketing tool? If you too want to use this tool in the most cost-effective way to garner leads, contact us today and let us build your brand bigger together.